Not many people can visualize a trillion anything. Even people who work with money don’t often have a firm grasp of the size of the country’s debt. Even people who deal with the vastness of space can’t tell you what a trillion miles looks like. But Steam makes a good effort at helping kids visualize the vastness of the national debt. This book is not an indictment of that debt in any way. It’s merely an attempt at helping kids understand what a big number one trillion is. Who knew how much soda flows over Niagara Falls? Or how much a trillion pennies weighs? After an in-depth discussion of the size of a trillion, the author gives a brief history of how the national debt was established and how it helps drive the economy. The illustrations and page design are simple and straightforward, enhancing rather than distracting from the story. Gotta love the pig(gy bank). 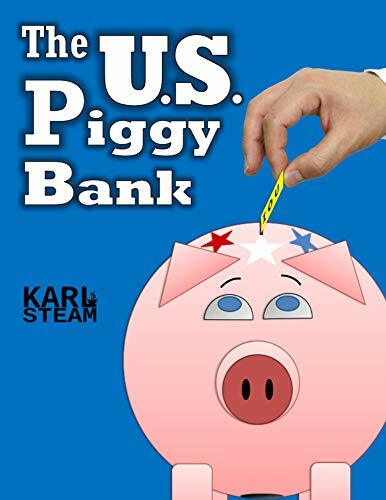 In addition to the background about numbers and the national debt, the author includes a list of possible activities related to the subject and a link to his website. This is a valuable resource for understanding many topics in the news. It also helps with general math and economics.